Jere Matthews Sights, III joined TD Capital in March of 2016 and serves in the role of Financial Advisor. His role includes regular communications with clients regarding their specific financial issues and assisting them regarding their day to day needs from their portfolios. Matt is heavily involved in the portfolio research performed by the firm. He also assists Lee Lacy in various internal technology projects and compliance filings. Matt joined TD Capital after spending several years with the public accounting firms KPMG LLP and CBIZ MHM, LLC. As a corporate auditor, he primarily worked on performing the annual financial statement audits of both privately owned and publicly held companies, as well as audits of employee benefit plans. Matt and his wife Betsy live in the Cooper Young area of Midtown Memphis with their twin son and daughter. They enjoy spending time at their cabin on Bear Creek Lake, Arkansas. Weekends in the fall are frequently spent together in The Grove at Ole Miss. Matt is an avid outdoorsman and enjoys hunting and fishing throughout the year. 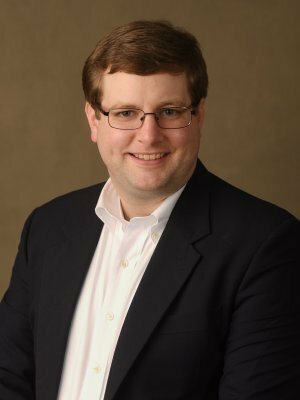 Matt is a graduate of Memphis University School and serves on the Grace-St. Luke's Episcopal School Alumni Board.